Yangzhou Chengde (YC) is one of the best steel pipe manufacturers in the world, and the production diameter from 8" to 48" in OD and wall thickness from 9.53 mm up to 140mm. We can produce the Carbon Steel Pipe, Mechanical steel pipe and Nuclear steel pipe according to the ASME SA106, ASTM A106, ASME SA53 and ASTM A53 standards. In recently 10 years, we have been exported about 200000 tons 106B/C and A53 B steel pipe to India, Japan, Korea, South East Asia, Middle East, North America and Europe. The Piercing and rolling technology of Chengde possesses a number of patents in designing and manufacturing the equipment, and has improved in lots of areas targeting better performance and efficiency, which has distinguished itself from the peers. Our main production process including: Raw material inspection, Cold centering, Heating, Piercing & Rolling, Sizing, Heat treatment, Testing, Finishing, NDE, Visual inspection, Marking, Storing and Shipping. 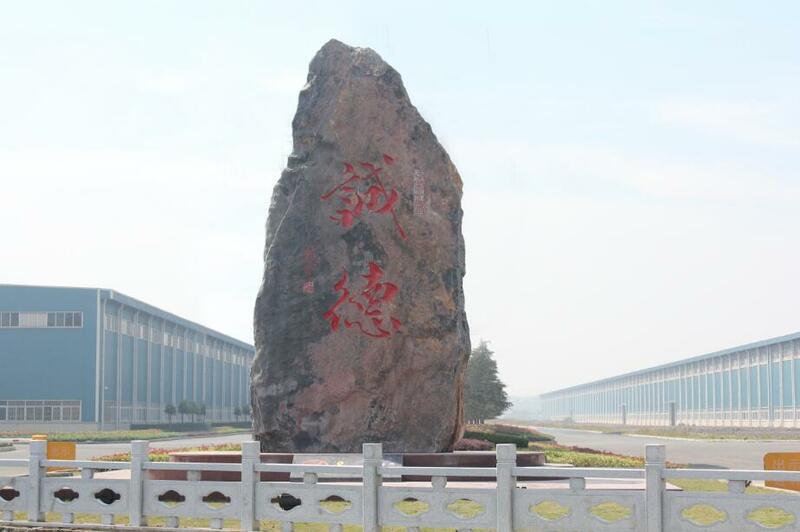 At present, the total assets is 6 billion RMB, the number of staff is 3000 and cover an area of 2080 acres of the Chengde group. Chengde group is the first echelon in national brand on seamless steel pipe and including 4 sections: Jiangsu Chengde incorporated company, Yangzhou Chengde Steel Pipe Co., ltd, Yangzhou Chengde Heavy Industry Co., ltd and Taizhou Chengde Steel Pipe Co., ltd.YC has been granted a number of approval certificate by international institutions, such as ASME Nuclear pipe certificate, China Nuclear HAF certificate, 914mm Cylinder certificate, API monogram and certificate, ISO9001 and ISO14001/OHSAS18001 by CQC, approvals from Shipping Classification Bureaus like DNV, RINA, ABS, Lloyd, GL, Bureau Veritas, and permit of exporting to Europe as PED 2014/68/EU and AD 2000 certificates for pressure pipes, CPD (Construction Products Directive), etc. and these certificates support the development of international sales market. CHENGDE Group was founded in 1988, and has been growing to a leading large diameter seamless pipe manufacturer with production range 8``-48`` in OD and wall thickness from 9.53 mm up to 140mm. CHENGDE is a joint venture with American PCC Group (Precision Castparts Corp. Fortune 500 enterprises of USA, PCC is the world leader in structural investment castings, forged components, and airfoil castings for aircraft engines and industrial gas turbines. Airbus, Boeing, GE, Rolls-Royce, and many other leading manufacturers depend on us for critical airframe, engine, power generation, medical, and general industrial components. With few exceptions, every aircraft in the sky flies with parts made by PCC). Chengde is fully integrated with PCC`s quality and management system, using the advance management tools like TOC to control the production and manage the key performance indexes. CHENGDE`s seamless steel pipes are supplies to Middle/Down-stream, Coal power generation, Nuclear power, Mechanical, shipyard and Gas cylinder applications. YC is the approved vendor of well-known EPC companies and oil companies such as Exxon/Shell/Alstom/Fluor/Bechtel/Siemen/SNC Lavalin/Kiewit/Keppel/Petrobras. CHENGDE`s pipe production follows the aerospace standards with the JV background with PCC, especially for heat treatment, the furnaces are calibrated to Aerospace AMS-2750 standard. The whole production process CHENGDE has been granted a number of approval certificate by international institutions, such as Nuclear pipe certificate, 914mm Cylinder certificate, API monogram and certificate, ISO9001 by TUV NORD, ISO14001/OHSAS18001 by CQC, approvals from Shipping Classification Bureaus like DNV, RINA, ABS, Lloyd, GL, Bureau Veritas, and permit of exporting to Europe as PED 97/23/EC and AD 2000 certificates for pressure pipes, CPD (Construction Products Directive), etc. Nuclear pipe certificate is the strictest in the industry and CHENGDE is the first private company with nuclear certificate in China, which proved the highest quality level in China pipe industry. 2. Unique Piercing-Rolling-Reeling mill technologies Chengde invented the Piercing-Rolling joint production technologies with its own patents and intellectual properties. The process is unique from Others with following edges: 1)	Stable, fast and continuous 2)	Flexible on non-standard sizes 3)	Swift tooling switching 4)	Uniform mechanical properties and dimensions in longitudinal& transversal directions 5)	Better surface condition thanks to shorter rolling time & good tooling quality 6)	Three-roller/five racks sizing machine can avoid inner hexagon significantly 3. Low Cost and Competitive Pricing Patented Piercing-Rolling-Reeling process and other assistive facilities (such as continuous heating furnace, hot expansion mill, 850 sizing mill, reeling mill, five racks sizing mill, etc.) formed a continuous product line. Reasonable product line saved energy and improved material yield to ensure CHENGDE have a lower production cost and short production cycle. Raw material is supplied by top steel mill in China, such as XINGCHENG Steel, BAO Steel and so on. Local billet availability provide the economic material cost and quick delivery. 4	Quick and On-time Delivery Quick and On-time Delivery assured by Patented and advanced devices. Carbon Steel pipe and low alloy steel pipe can delivery in 45~60 days, high alloy steel pipe such as P91 P92 can delivery in 75~90 days. If customers require more quickly delivery, CHENGDE will try us best to satisfy the delivery. CHENGDE has an extensive expediting department to provide support for its customers project management teams. Our expediting teams priority is to proactively insure orders are shipped and received on time, in good condition. In order to meet our customers required need dates, the expediting department uses planning, coordination and execution skills. Planning is done on every order to identify and rectify any potential delays that are discovered. Coordination between each department within our company is our key to providing materials in emergency situations. Execution skills are highly tuned and cultivated thru consistent training within our expediting department. Chengde`s sales representatives, expeditors, quality assurance and warehouse personnel work as a team, using consistent communication flow, to move the customers orders thru our system in a timely and efficient manner to meet their material needs.